Harkers 3 in 1 liquid is indicated for the flock treatment and control of coccidiosis caused by Eimeria labbeana and Eimeria columbarum. 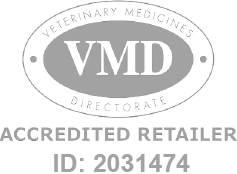 Harkers 3 in 1 Liquid - 100ml is a Prescription Only Veterinary Medicine and by law requires a prescription from your vet. Harkers 3 in 1 liquid is indicated for the flock treatment and control of coccidiosis caused by Eimeria labbeana and Eimeria columbarum. Also indicated for the treatment of hairworm, roundworm and tapeworm infections and the therapeutic and routine treatment of canker (trichomoniasis) caused by Trichomonas columbae. Do not use in pigeons under two months of age. Do not use during the main moulting season. Do not use during the hatching period.